Level 0 describes unmanaged CAD (Computer Aided Design). Level 1 describes managed CAD in 2D or 3D. Level 2 involves developing building information in a collaborative 3D environment with data attached, but created in separate disciplines. Level 3 has yet to be defined in detail, but it may include a single, collaborative, online, project model including construction sequencing, cost and lifecycle management information. In its simplest form, it means no collaboration. 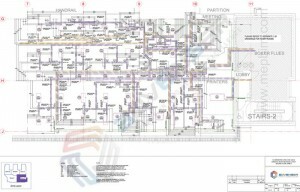 2D CAD drafting only is utilized, mainly for Production Information. Output and distribution is via paper or electronic prints, or a combination of both. The majority of the industry is already well ahead of this now. 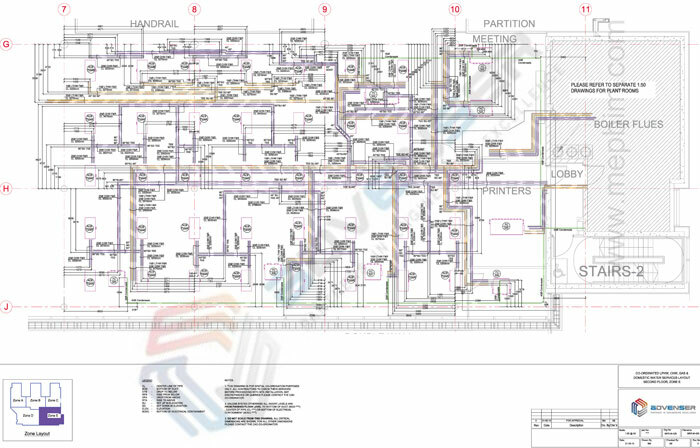 This typically comprises a combination of 3D CAD for concept work, and 2D for drafting of statutory approval documentation and Production Information. CAD standards are managed to BS 1192:2007, and electronic sharing of data is carried out from a common data environment (CDE), often managed by the contractor. Nowadays the level at which many organizations are currently operating, although there is no collaboration between different disciplines – they publish and maintain their own data. Everyone uses their own 3D CAD models, but not necessarily works on a single, shared model. It collaborates in the form of how the information is exchanged between different users – and is the crucial aspect of this level. Design information is shared using a common file format, which enables any organization to be able to combine that data with their own in order to make a federated BIM model.. Each user can export to one of the common file formats such as IFC (Industry Foundation Class) or COBie (Construction Operations Building Information Exchange). This is the method of working that has been set as a minimum target by the UK government for all work on public-sector work, by 2016. 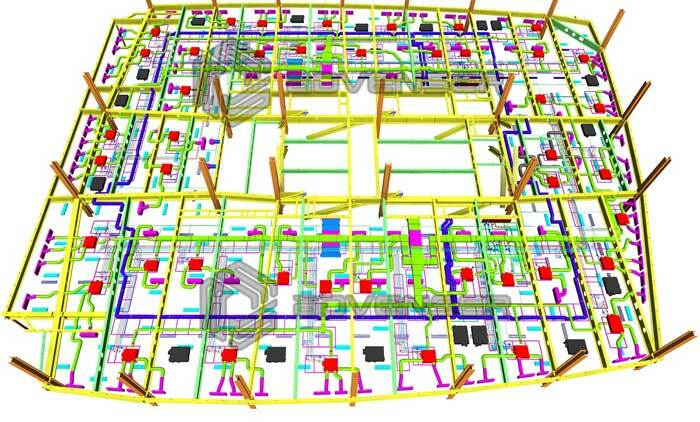 UK Government Construction Strategy published in May 2011, stated that the ‘…Government will require fully collaborative 3D BIM (with all project and asset information, documentation and data being electronic) as a minimum by 2016’. This represents a minimum requirement for level 2 BIM on centrally-procured public projects from April 2016. “The government will develop the next digital standard for the construction sector – Building Information Modelling 3 – to save owners of built assets billions of pounds a year in unnecessary costs, and maintain the UK’s global leadership in digital construction”. This represents full collaboration between all disciplines by means of using a single, shared project model which is kept centralized. All users can access and modify the same model, and the benefit is that it removes the final layer of risk for conflicting information. This is known as ‘Open BIM’. Current industry issues such as copyright and liability are intended to be resolved – the former by means of robust appointment documents and software originator/read/write permissions, and the latter by shared-risk procurement routes such as partnering. The CIC BIM Protocol makes provision for these.